Superfoods are a recent trend that has got everyone talking. The nutritional value of food is now more in the spotlight than ever. People are more focused on their health – and rightly so – than ever and that has meant that food is becoming increasingly talked about. However, some foods can end up getting a bad name for themselves when they have no right to be. This list shows ten of the most surprisingly healthy foods and how they provide you with nutritional value. Chocolate really is good for you (in small servings of course). Dark chocolate is packed with antioxidants and anti-inflammatory substances that are good for our hearts. One or two dark chocolate pieces for dessert can provide satisfaction for your sweet tooth and heart. It is true that some cheese is fattening and bad for the heart but there are also plenty cheeses out there that offer a good source of protein, phosphorus and calcium and are therefore considered healthy foods as well. 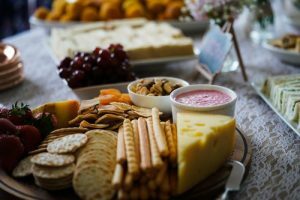 As long as you go with some of the lower calorie cheeses such as Feta, Mozzarella, Parmesan and Cottage then you will be able to reap their benefits and tastiness at the same time. 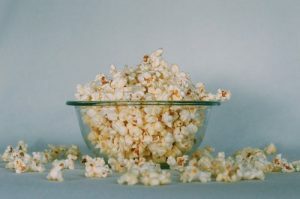 Popcorn is a great source of fibre, antioxidants and whole grain. As long as you are avoiding the brands that drench the product in butter and salt then you will have a delightful treat that is full of health benefits. Recent studies have found that drinking a pint of beer a day is good for your heart. The risk of heart attacks, heart disease and strokes can all be lowered by drinking a nice refreshing pint. For a long time avocados were labelled as a fatty food that should be avoided. But it was discovered that the sort of fat they contained was actually good for us because it helped the heart. By sticking to monounsaturated fats and staying away from the saturated ones you’ll be all good. This one is entirely true. Make sure that you are eating grass fed cow beef and you will be reaping in health benefits alongside a delicious meal. They are filled with vitamin E, omega-3 and and omega-6 fatty acids – all of which are beneficial to the heart. Okay, yes, this one is a drink not a food but it still makes the list. Coffee was given the reputation that drinking it would cause stunting of growth and increase the risk of heart disease. But drinking it in moderation will help reduce the risk of type 2 diabetes, Parkinson’s disease and dementia. Now you can’t say that it’s not a surprisingly healthy foods!